Fully rounded water worn boulders. 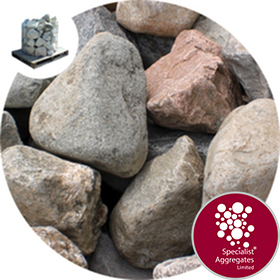 Suitable for rockery features, stocked ponds and natural water courses. 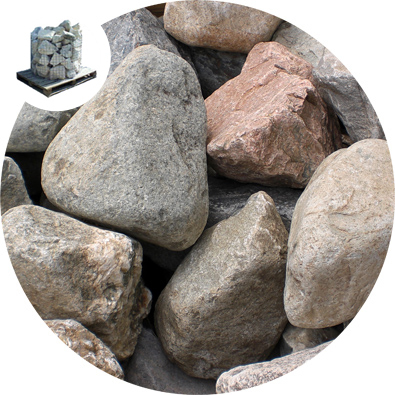 Stone size: Approximately 250mm (10 inch) weight approximately 12-15kg per piece. Fully rounded boulders sourced from licensed deposits. Suitable for rockery features, fish friendly for ponds and water courses, and with skill and patience for building spectacular walls and enclosures. Many of these boulders comprise granites and quartzites more usually found in Scotland, however the rocks were transported by glaciers during the last ice age and deposited in North Wales some 20,000 years ago. That's why we can be confident that these rounded boulders are both durable and frost resistant ! 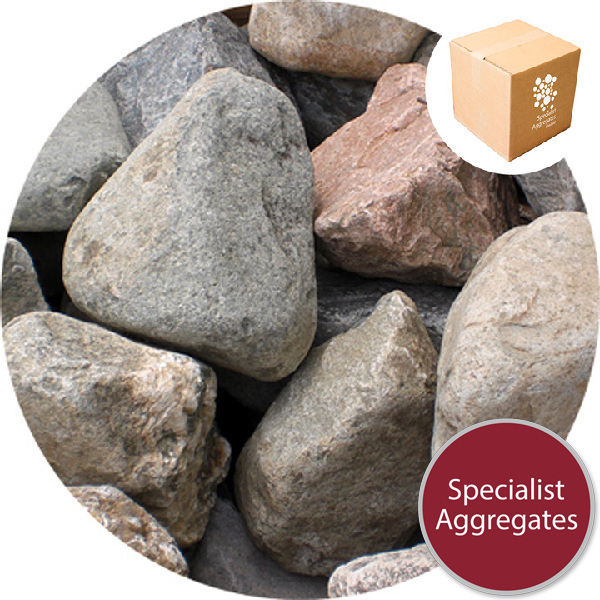 The boulders are generally held as a stock item for immediate delivery. This product option is supplied in a non returnable crate or bulk bag and stretch wrapped for additional protection and security. The product is delivered by national couriers and off-loaded onto a level hard-standing using vehicle tail-lift and pallet truck. Please advise during checkout or contact our office if you have specific delivery requirements or concerns. 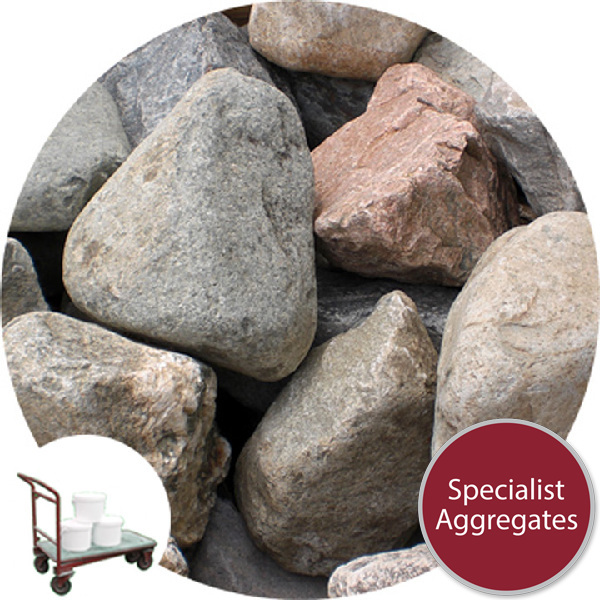 Architect Specification: 250mm Water worn boulders from Specialist Aggregates.